We love Washington. We also love films. When the Washington West Film Festival needed a website to help make it the premier annual film festival for the region, we were intrigued. 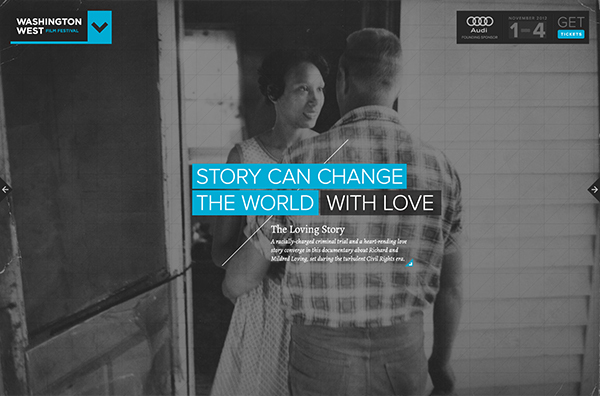 When they told us their core message was that story can change the world, we were thrilled -- we couldn't agree more. Their budget was low, and we were so invested in their mission that we designed their site as a pro bono project. 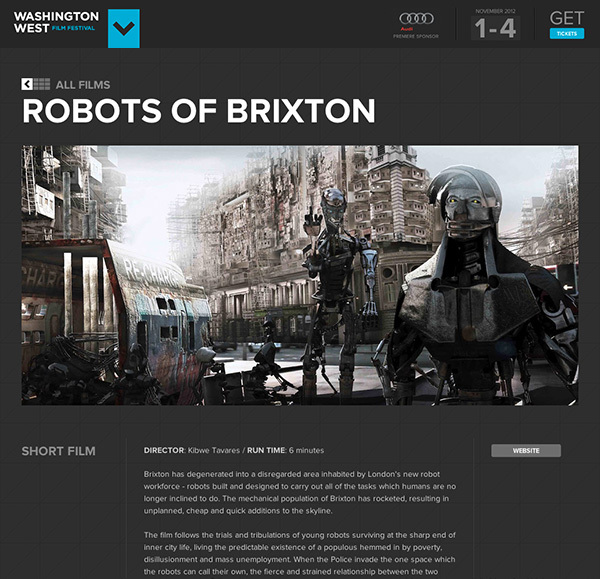 The Washington West Film Festival site just launched. It’s simple, sophisticated, and classy. Mark your calendars to attend November 1-4, 2012! You also can support Washington West Film Festival prior to the event by contributing or volunteering. In its second year, the Washington West Film Festival celebrates a set of the very best films and rising film storytellers in the world in three in-competition categories: dramatic features, documentary features, and short films. Each one of these films compels viewers with a strong story that captures our hearts and inspires transformation. Most inspiringly, each audience member contributes to a story of life-change as the festival gives 100% of net box office sales to projects that tangibly help people in need. When designing the site, we had several goals in mind and we accomplished these via creative design, audience messaging, and workflow/CMS implementation. 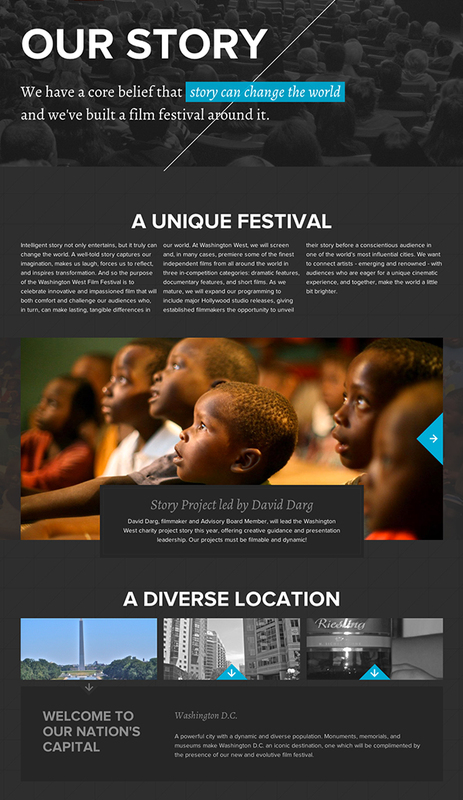 Creative goals: The visual direction of the new Washington West Film Festival site puts “Story” front and center. Stacked typefaces, cropped images, compelling images, sans serif fonts, black and white photography, and unique type treatment convey a vibrant festival in a big city. Audience messaging goals: The site communicates to filmmakers with limited budgets and time, Washington DC patrons looking for exclusive experiences, and partners/sponsors who support cultural and philanthropic causes. The site also speaks to potential volunteers, media, and the film industry. Workflow/CMS implementation goals: We built the site using the ExpressionEngine CMS, enabling site administrators to easily add and edit films, ticket information, trailers, the festival schedule, and other site content. We look forward to seeing you at the 2012 Washington West Film Festival!